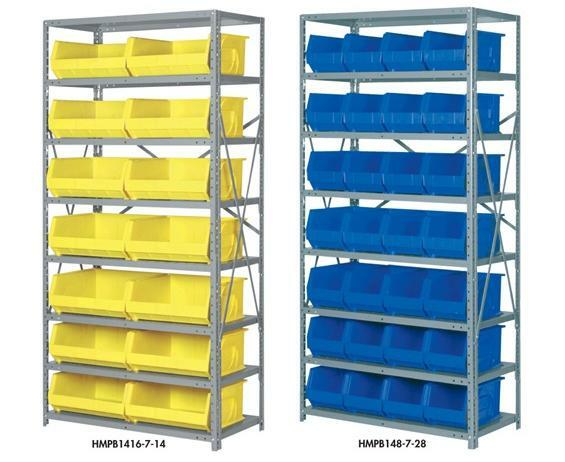 Shelving combines with convenient hopper front bins for maximum parts organization and retrieval. Complete with shelving and bins. 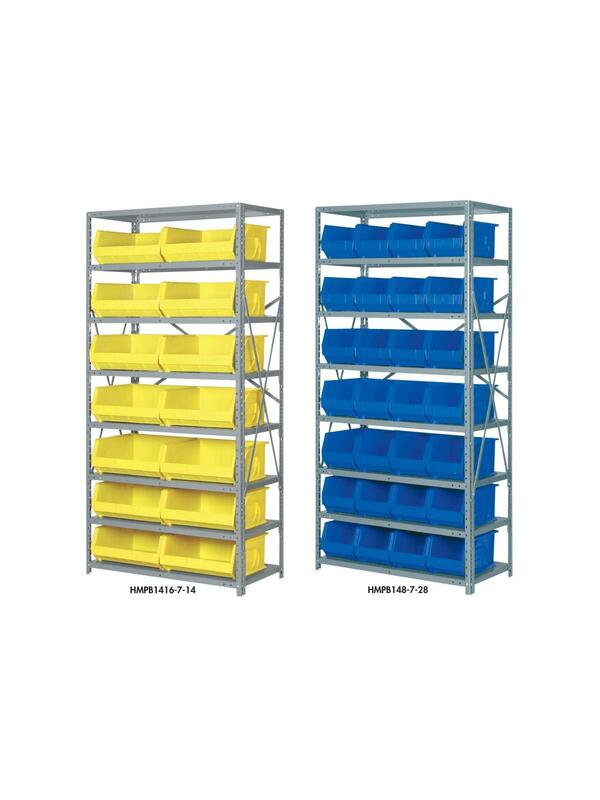 Designed for large storage capacity and ease of use. Rugged storage unit is easy to assemble with nut and bolt construction. 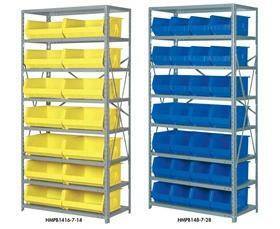 20 ga. shelving allows maximum weight capacity per shelf. Ships unassembled. Bins available in Red, Blue, Yellow, Green, or Sand. FOB Shipping Point. 36 x 18 x 73"36 18 73"